It is the feast of St. Michael the Archangel. The name "Michael" means "Who is like God?" It is a name which contains in itself the simplicity of the angelic being, for in those words the ineffable supremacy of God is magnified. It is a name which signifies the dark night of the soul in its ascent to God, for as St. John of the Cross says: "All the beauty of creatures compared to the infinite beauty of God is the height of ugliness." (The Ascent of Mount Carmel) In the eternal question "Who is like God?" many truths can be boiled into one: there is no one like God; He is our end, He is our ultimate and only goal, there is nothing else worth striving for if it is outside of Himself. 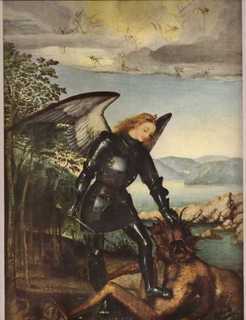 While in our human nature it is impossible to obtain anything resembling the unwavering angelic attention and single-mindedness, it is possible in Christ to strive to model the dedication of St. Michael to the cause of God. 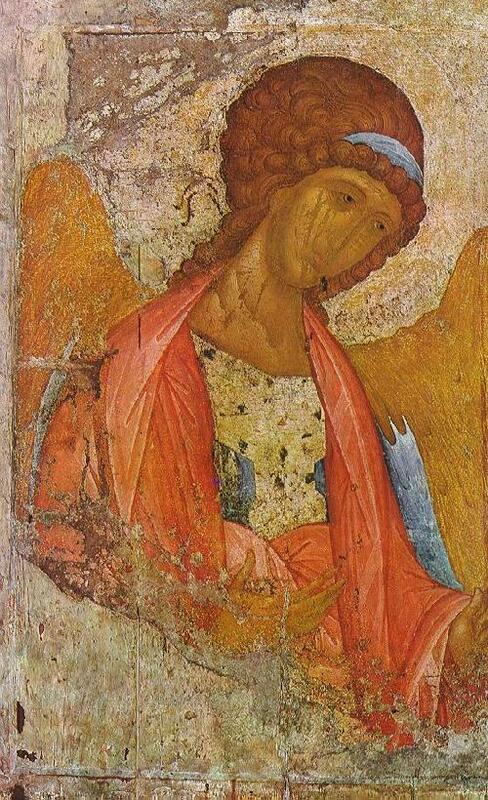 The Archangel Gabriel said to the Prophet Daniel: "And, behold Michael, one of the chief princes, came to help me . . . and none is my helper in all these things, but Michael your prince. "(Daniel 10:13) In the midst of the present battle, may St. Michael be our champion, our brother, our protector, not only of individual souls but of the whole Church, the people of God. Today is the feast of Our Lady, Undoer of Knots, a very old and traditional devotion. Here is a novena for Judge Kavanaugh's confirmation and in preparation for the feast of Our Lady of Victory on October 7. Prayer to Mary, Undoer of Knots. Virgin Mary, Mother of fair love, Mother who never refuses to come to the aid of a child in need, Mother whose hands never cease to serve your beloved children because they are moved by the divine love and immense mercy that exist in your heart, cast your compassionate eyes upon me and see the snarl of knots that exists in my life. You know very well how desperate I am, my pain, and how I am bound by these knots. 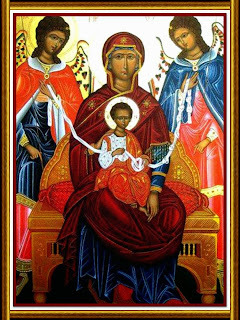 Mary, Mother to whom God entrusted the undoing of the knots in the lives of his children, I entrust into your hands the ribbon of my life. No one, not even the evil one himself, can take it away from your precious care. In your hands there is no knot that cannot be undone. Powerful Mother, by your grace and intercessory power with Your Son and My Liberator, Jesus, take into your hands today this knot. (Mention your requests here - especially for Judge Kavanaugh to be confirmed to the Supreme Court) I beg you to undo it for the glory of God, once for all. You are my hope. O my Lady, you are the only consolation God gives me, the fortification of my feeble strength, the enrichment of my destitution, and, with Christ, the freedom from my chains. Hear my plea. Keep me, guide me, protect me, o safe refuge! Mary, Undoer of Knots, pray for me. Amen. It was St. Vincent who later appeared to St. Catherine Labouré, encouraging her to join his order. 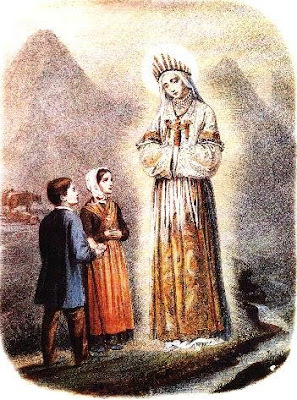 It was on his feast in 1830, formerly kept on July 19, that St. Catherine had the first of the amazing apparitions at the Rue de Bac, which were to have such immense significance to France and to the world. This is a special feast for all who suffer any type of enslavement. The origins of the Feast can be found in the little known Mercedarian Order. This was founded in the early thirteenth century by St Peter Nolasco and St Raymond of Penafort (who can both be seen at Our Lady's feet in the picture above) to ransom Christian slaves taken by the Muslims during their frequent raids on Europe. 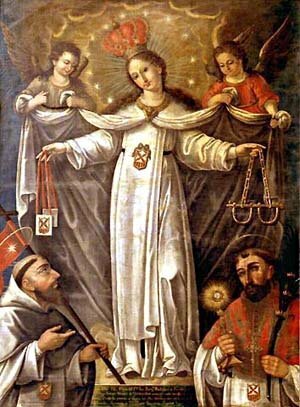 The Order's original name was the 'Order of the Virgin Mary of Mercy of the Redemption of Captives of St Eulalia' (an early martyr venerated in Barcelona). 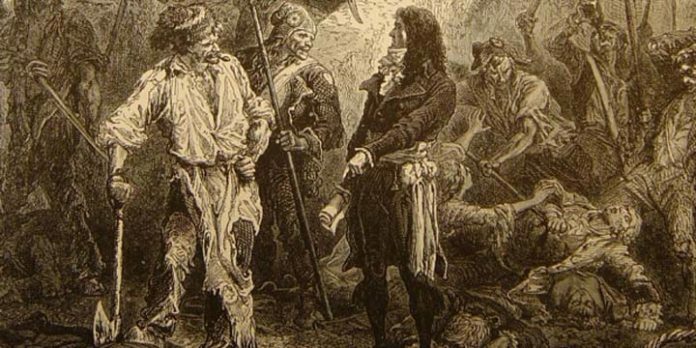 Christian captives in Muslim lands were a huge problem up until the seventeenth century. 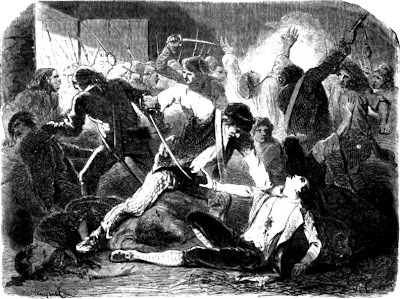 Barbary pirates even troubled English waters - 466 English ships were taken between 1609 and 1616 and a thousand people were taken captive after a raid on the West Country in 1625. 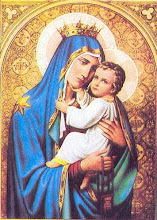 We ask Our Lady of Ransom to intercede for Christians who experience hardships in Muslim countries today. Mother of Mercy, pray for us! Let us unite in praying together the Novena to St. Michael the Archangel for Judge Kavanaugh. The Lady then went on to speak about the coming punishments for these sins of Sabbath breaking and blasphemy, including crop blights and famine, at one point switching from French, which the children did not understand perfectly, to the local patois. Then she spoke to Maximin alone, imparting a secret to him which Mélanie could not hear, before turning to her to give a secret that Maximin likewise could not hear. Presently she again spoke to both saying that if the people were to be converted then the fields would produce self-sown potatoes and the stones become wheat. Sources: Jaouen, A Grace called La Salette; Beevers, The Sun Her Mantle. Here is a book about La Salette in which Louis XVII is mentioned since one of the pretenders approached Maximin, hoping for validation. I ask whoever is able to join me in this novena to Our Lady of Mercy, also known as Our Lady of Ransom, for the women and girls who are enslaved throughout the Middle East, and for all victims of human trafficking. The novena begins today and ends on September 23. September 24 is the feast of Our Lady of Ransom, a feast especially dedicated to the deliverance of the enslaved and unjustly imprisoned. Let us Pray. 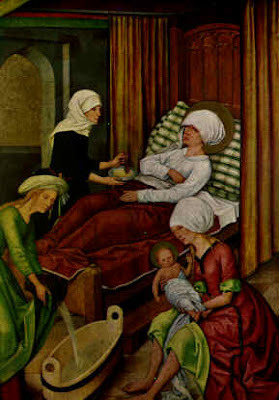 O God, Who through the most glorious Mother of Thy Son wast pleased to give new children to Thy Church for the deliverance of Christ's faithful from the power of the heathen, grant, we pray Thee, that we who affectionately honor her as the Foundress of so great a work, may, by her merits and intercession, be delivered from the slavery of sin and the eternal flames of Hell. Through Our Lord Jesus Christ Thy Son, Who liveth and reigneth with Thee in the Unity of the Holy Ghost, One God, forever, unto ages of ages. Amen. UPDATE: It is good to pray or sing the Ave Maris Stella during this novena. How well do the words of the Stabat Mater reflect the words of Simeon to Our Lady: "Thy own soul a sword shall pierce." (Luke 2:35) According to many saints, the Blessed Virgin suffered throughout her life, knowing that her Son was to undergo a cruel death. Her sufferings reached their climax at the foot of the Cross. 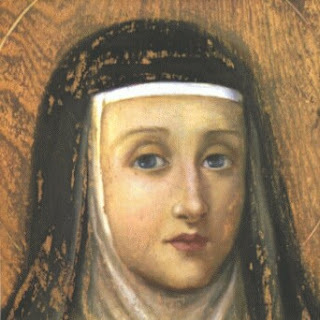 As Blessed Elizabeth of the Trinity wrote: "O Queen of Virgins, you are also the Queen of Martyrs; but it was written within your heart that the sword transpierced you, for with you everything took place within your soul." Today we celebrate the feast of the Exaltation of the Cross. We are marked by the sign of the cross at our baptism. For the Christian, there is no escaping the cross. We elude one cross only to find another. And yet with God's help we can bear it with joy, for the cross is the ladder to paradise. If we have been given a few "light" crosses, than it is so that we have the strength to pray for those whose crosses are unbearable. Here is the "Litany of the True Cross" (For Private Recitation Only). We need life jackets to persevere and ride out the raging storm. God gave us many warnings of the current crisis we are passing through. Warnings with instructions on how to successfully pass over the raging waters. The first warnings were given in scriptures, the most relevant is the book of Jude. It is the shortest book of the Bible aptly depicting the current crisis we are living in. Read and pray over the book to see how God wants us to live through these days. 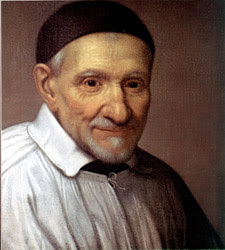 Also recall the visions of St John Bosco in the 1840s. Remember the 2 Columns and the ship, representing the church. It was traveling in a fierce storm other ships were bombing it with canons and it almost capsized. Finally seeing two columns in the distance it made its way towards them and found safety and anchored between them. The first column was the Eucharist and the second was Our Lady. Placing its anchor here the storm could no longer toss them about in this safe harbor. Let each one of us find that safe harbor! We must continually work on our own faults and deepen our personal union with Jesus. Taking the speck from our own eyes first so we can see clearly how to help our brethren. Our strength will come from the Eucharist and Our Lady! "One is my love, my perfect one...she is the only one of her mother, the chosen of her that bore her." The month of September, the month of Our Lady of Sorrows, brings us the sacred day when the daughter of St. Joachim and St. Anne, conceived "full of grace," was born into this earth of sin and sorrow. Her birth was the dawn of salvation for all humanity, longing for the coming of the Redeemer. Few persons were aware that in the Child Mary, free from all stain of original sin, God had begun His work of the new creation. The child whose birth we celebrate on the eighth of September would one day be crowned Queen of the Universe by the Most Blessed Trinity. The earthly life of our Queen was characterized by poverty, by manual labor, exile, suffering and humiliation. The greatest, most important woman who ever lived spent her days busy with the thousand mundane, dreary tasks of an ordinary housewife in a backwater town, member of a despised people, living in a conquered nation. Although she was of the Davidic line, her royal descent, and that of her spouse St. Joseph, was seemingly forgotten. Nevertheless, by reason of her Immaculate Conception, in the least action of the Blessed Virgin Mary there was an unfathomable glory, a treasury of merit which all the collective merits of all the angels and saints could not begin to equal. How contrary to the ways of the world, that such sublimity was veiled from the eyes of men. We rightly speak of the Church as indefectible, for Christ said to Peter, And I tell you that you are Peter, and on this rock, I will build my church, and the gates of Hades will not prevail against it. I will give you the keys of the kingdom of heaven (Matthew 16:18-19). Be careful, though: The indefectibility of the Church does not pertain to land, building, power, or glamor. Consider, by contrast, the Church at her most victorious moment: Good Friday on an ugly hillside called Golgotha. Only one clergyman, St. John the Apostle, and four women were there with Christ. The Church was very small at that moment. 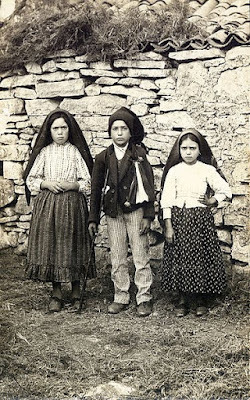 There were no marble altars, no stone churches or basilicas, no papal estates or gold-embroidered vestments. It was just Jesus, the head of the body, and a few of his members. The rest of the clergy and disciples, even Peter, were hiding in fear, disavowing knowledge of him and standing a safe distance away. Yet this small gathering of the Church saw the greatest victory of all: By dying, Christ destroyed death and broke Satan’s power. Yes, sometimes the Church gets small and seems quite powerless. Sometimes the Gospel is preached from a jail cell or at an execution site. The blood of martyrs is seed for the Church. So, we ought not to imagine the indefectibility of the Church as something rooted in external glories such as power, land, buildings, titles, golden chalices or elaborate vestments. The Liturgy of the Hours has been warning us of the possibility of disaster if we do not repent. If you think St. Peter’s Basilica could never be taken or the pope exiled from Rome (or even killed), think again. Of the first 33 popes, 30 died as martyrs. Two others died in exile. Only one died in his own bed. The Church had no basilicas or land until A.D. 313. Popes were exiled numerous times during the Middle Ages. They also took refuge in Avignon for far too long a time. If you think St. Peter’s will always be there, consider that the Hagia Sophia in Constantinople, a basilica arguably as glorious as St. Peter’s, became a mosque and is now a secular museum. Yes, God’s warnings are as real today as ever. He is more interested in our souls than our buildings. Our museums and works of art are trinkets to Him compared to the holiness of our lives, which he seeks. We are too easily mesmerized by the worldly splendor of such things and think it can substitute for the holiness and truth to which it points. During this painful crisis of clergy sexual abuse, vague leadership, and lack of accountability, the call goes out with an urgency that rivals the greatest cries of biblical times: the Church must repent. This cry is addressed to all, from the laity and the lowliest of clergy to the Pope himself. Serious sins must be acknowledged and repented of. The Church must accept a deep purification that, though sure to be painful, is necessary. 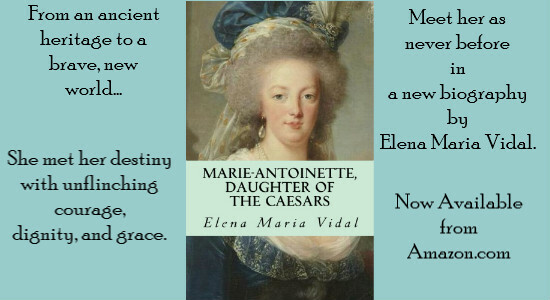 Let us not forget the September Martyrs, including the murder of Madame de Lamballe. One dawn at the Discalced Carmelite chapel in Florence, a lovely, fair-haired girl of seventeen, in white veil and bridal dress, walked slowly down the aisle, candle in her hand. Anna Maria Redi, the beloved eldest child of a noble Tuscan family, offered herself as spouse to the King of Heaven. In doing so, she exchanged wealth and comforts for poverty and humiliations. Joyfully, she gave up her silk dress for the rough brown habit of Our Lady, and undertook to serve Our Lady by adoring her Eucharistic Son. 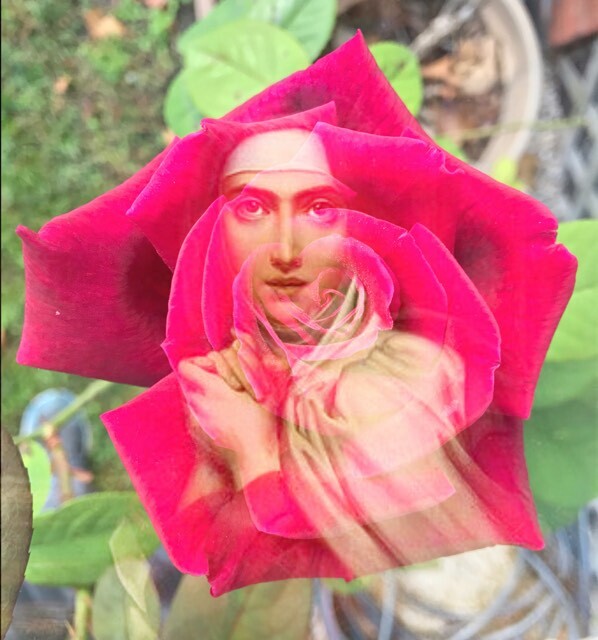 Re-named "Theresa Margaret," she strove to console the Heart of Christ by performing many penances. One day at Vespers, the words Deus Caritas Est (God is love) sank deep into her soul. She realized that love (not hairshirts) was what counted most. "You know, my God," wrote St. Theresa Margaret, "that my one desire is to be a victim of your Sacred Heart, wholly consumed as a holocaust in the fire of your holy love...dispose of me according to your good pleasure...." she struggled to give up her own will, to be humble and obedient, even when it meant performing duties that were unpleasant, such as caring for a nun who had gone insane. On March 7, 1770, at age 24, she died after 18 hours of agony due to a mysterious intestinal infection. The incorrupt body of St. Theresa Margaret lies in a glass coffin in the monastery chapel where she once entered as a bride.